Kite Beach is the popular beach which lays behind the Sunset Mall. It is frequented by water sport enthusiasts and erudite adventurers. This beach is enlisted in the top beaches of the city. Kite surfers try their skills and beginners learn the skill here helped by the experienced trainers. 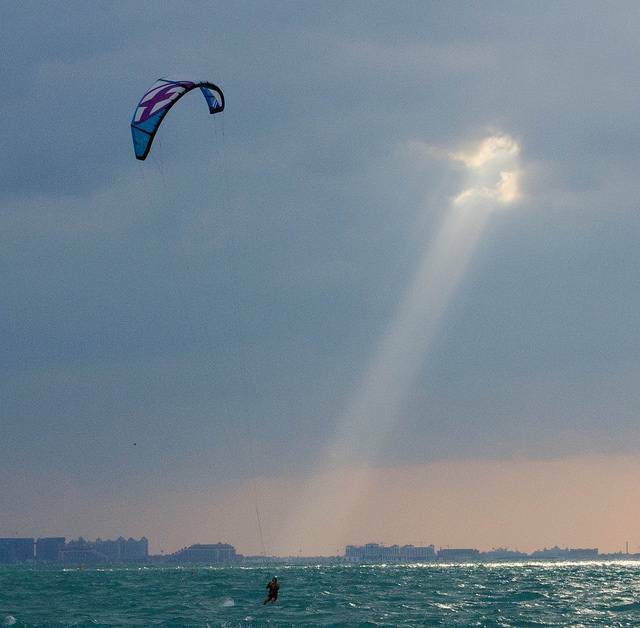 People congregate on this beach when kite surfers show their stunts. Afternoons are supposed to be the best time for challengers as the wind is high in these times. Stay until it dawns to view the spectacular sunset flinging its rays on the waters making it a picturesque scene. Banana boats, kites and bicycles can be rented. Like the Jumeirah Beach, this beach also hosts umpteen activities and water sports for both children and adults. Soap football, beach tennis, volleyball and kayaking are just few to mention. The beach is well facilitated with showers and changing rooms. Dig your teeth into the Canadian pastries at BeaverTails, try pizza at Amor, Blue Beach Café is for coffee lovers and for an unique taste, go for banana ice creams at Wanna Banana and the beach is studded with lot more barbeques.